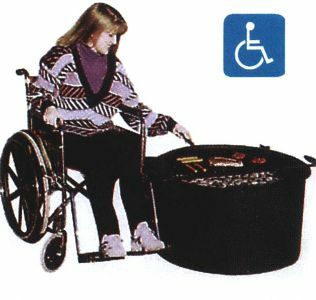 This ADA compliant fire ring features wheelchair accessibility for easy handicap access. 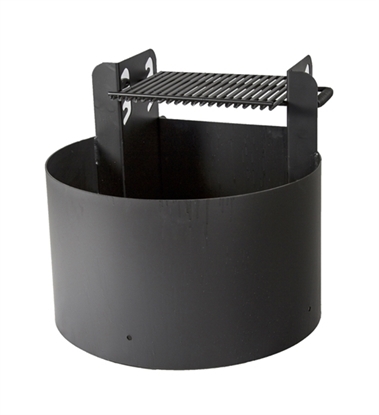 Features a 30" diameter ring made of 3/16" thick steel with 1" formed flange. 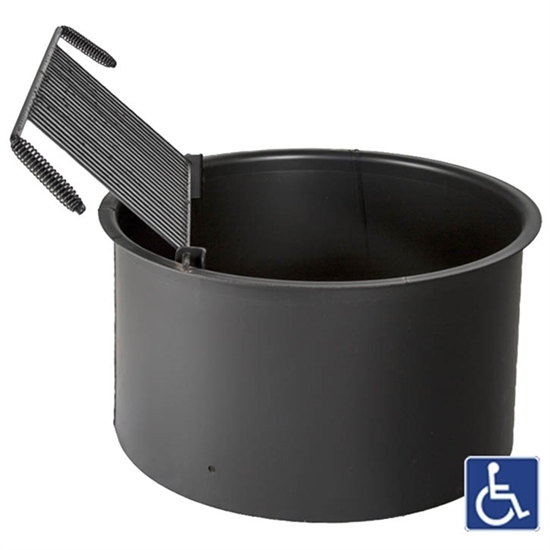 The 15" x 20" grate offers a 300 square inch cooking surface. 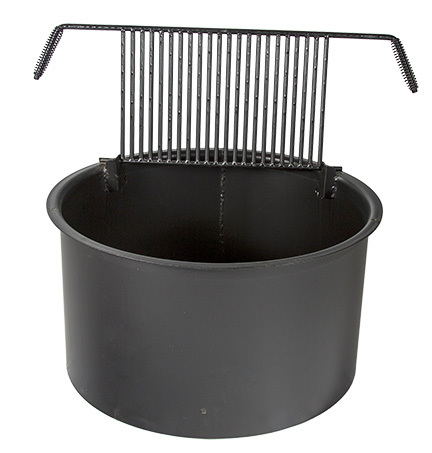 The cooking grate is made with 1/2" steel rods welded on 1" centers for durability. Cooking height adjust from 19" to 24" for wheelchair access. The easy flip-up grate has cool spring handles for safety. Included three spade anchor stakes for stationary mount. Painted with a non-toxic, heat and rust-resistant black enamel.